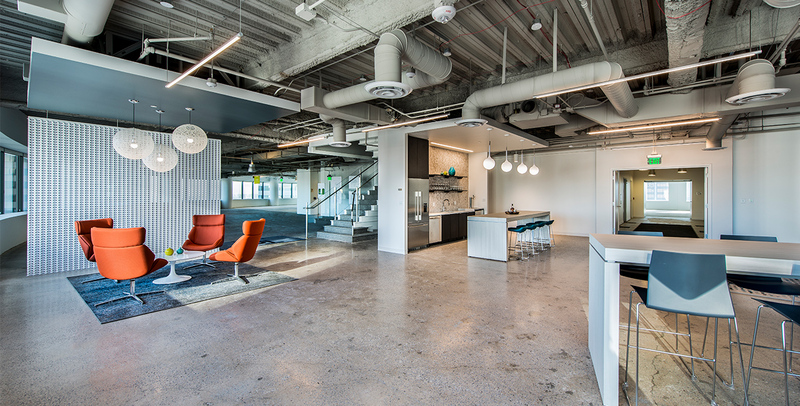 Callahan Properties selected the ADG Denver team to create three model suites for use by building owners and brokers to promote the lease space within the building. 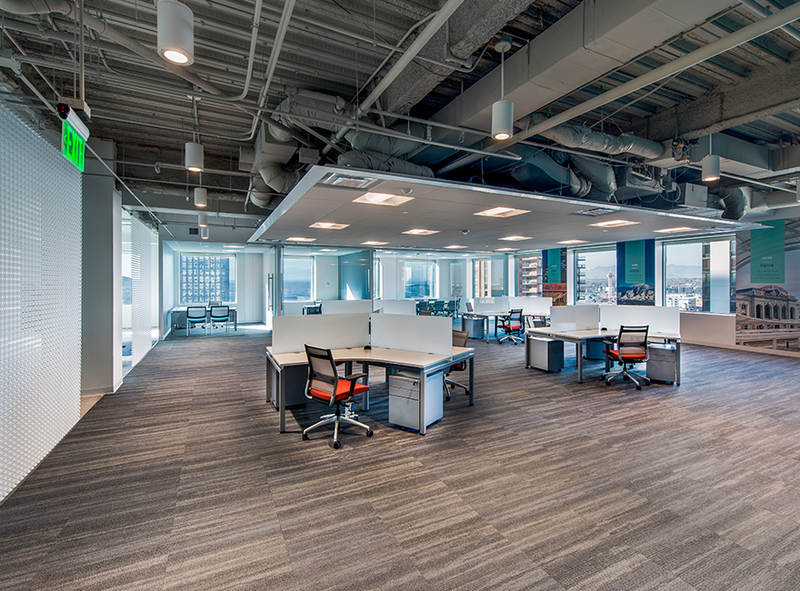 Although the demand for lease space is at an all-time high in downtown Denver, older office buildings need to demonstrate the ability to compete with newer, modern buildings for climbing lease rates. 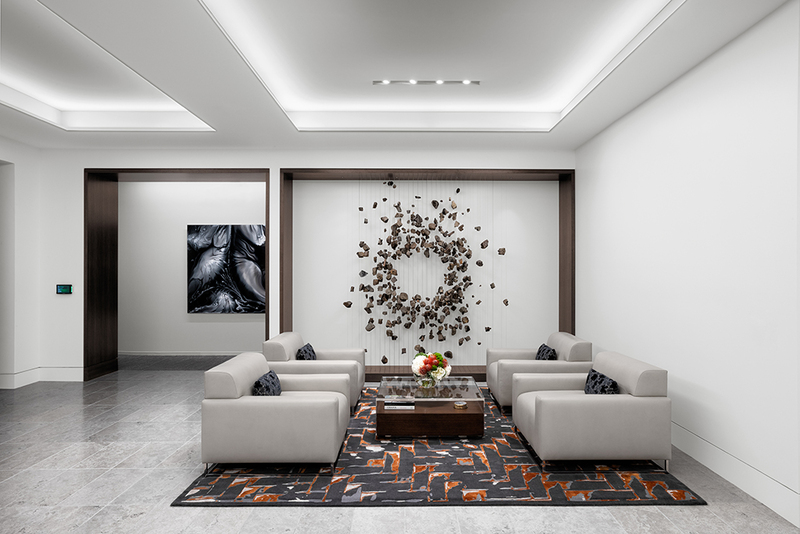 The ADG team designed each model suite with the same design philosophy but incorporated various details into each to make them unique. 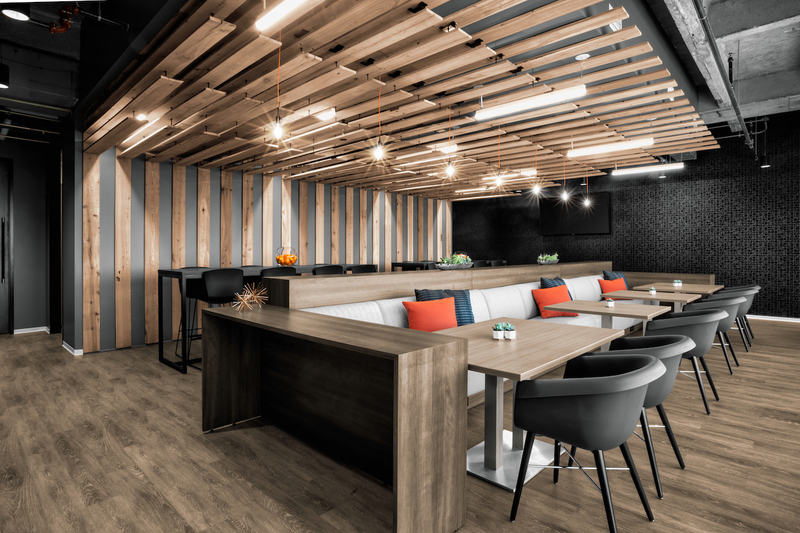 This project was designed to appeal to the growing Denver tech industry and to demonstrate that buildings such as The Tabor Center, a traditional corporate high-rise built in the 1980s, can offer the same capabilities and amenities as newer buildings. 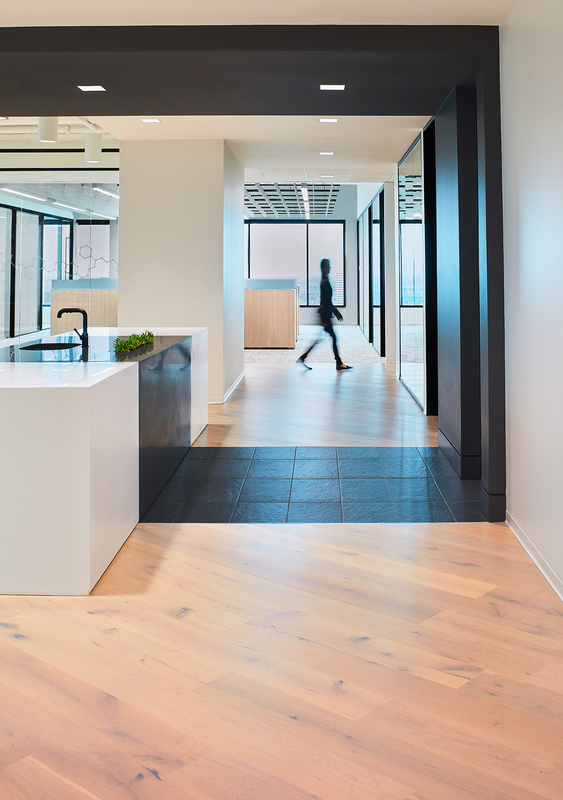 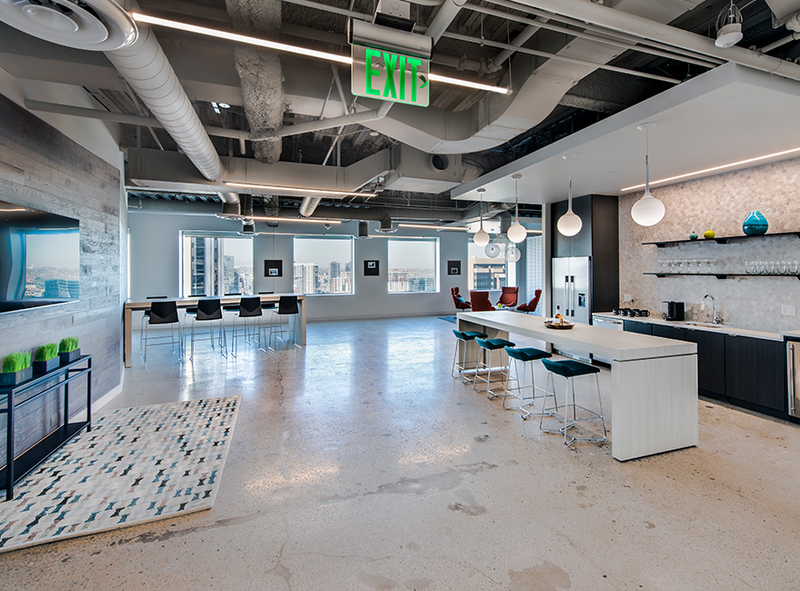 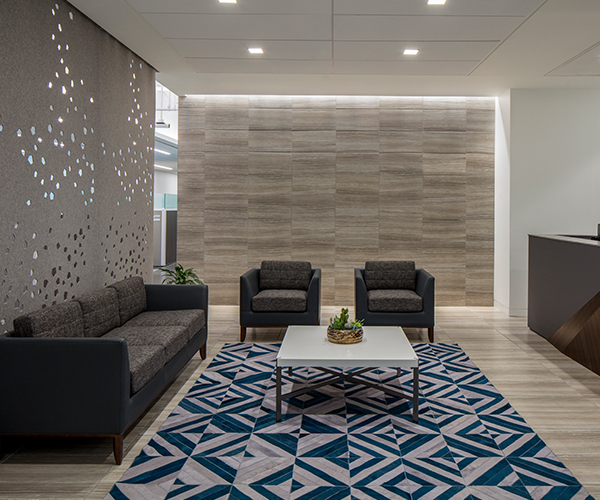 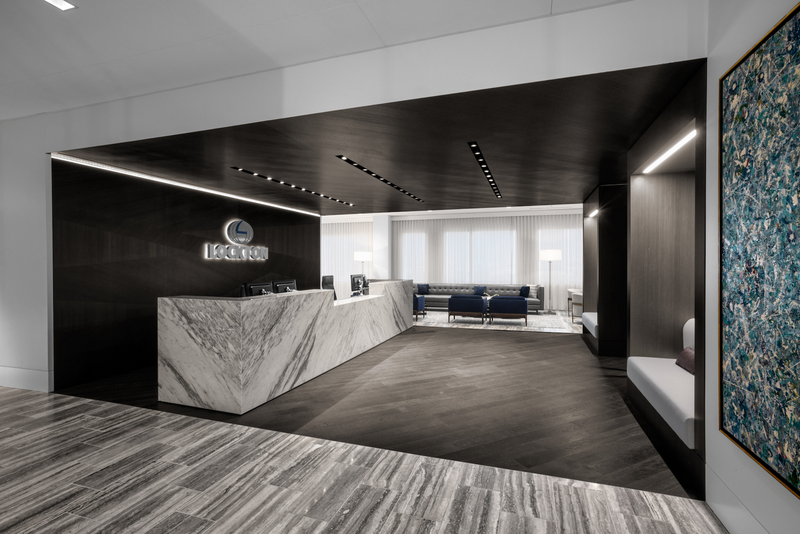 The use of an open ceiling design, prominently featured open meeting spaces, and a breakroom that doubles as an entry/reception space resulted in a 3500-square-foot space that can be acknowledged as spacious and multifunctional by any industry. 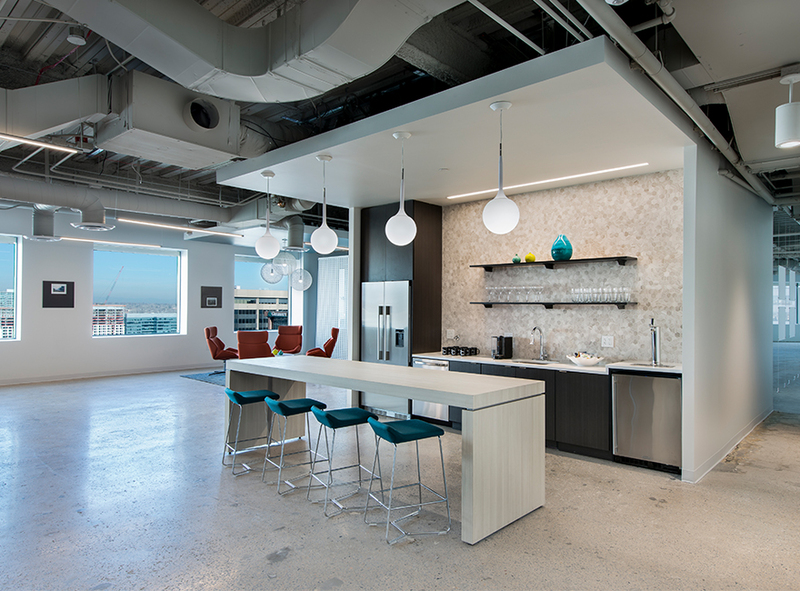 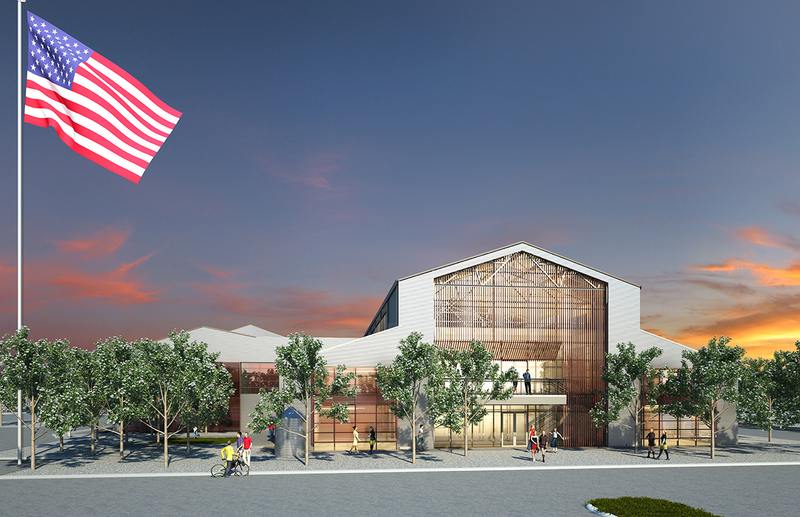 The design team also took advantage of the natural light and views.